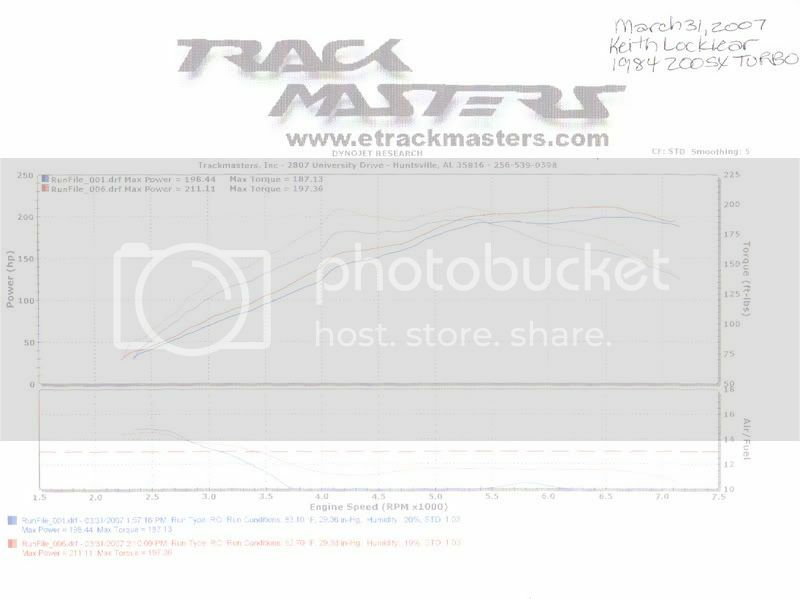 Anyway.......I was pretty happy with my numbers.....and more so after they dyno tuned it. Here is the vid of the first run before tuning. It got 198whp and 187 ft lbs of torque @ 11psi. It was sooooo piss rich it didn't even show up on the afr graph, which was below 10. I think with a little more dyno tuning I might be able to squeeze out a little more.....but for now, I'm pretty pleased. I did 6 dyno runs and 5 of those was with tuning..... The dyno sheet only shows the first and last run..
Wow, really nice! Nice to see a CADET hitting nice numbers like that. Thanks man.....I was pretty pleased, especially after the crappy runs I got back in Tracy with the ca-et right before it crapped out. you get any compliments or hate from the s13 and s14 owners about the 12? Pretty good numbers tho man...it sounds like there is still some room for improvement tho. But I bet she felt a whole world different on the drive home huh? very impressive, as always. what do you have done so far? you can totaly tell a difference on the third run! the BOV chirps a lot louder sweet! "but the ticket...take the ride." Alright what is your safc 2 tuned like now? I wish I wasn't too cheap and lazy to go to a dyno day. what do you have done so far? nice! I wish I even knew where to find a dyno around here..
whats the AR of the evo turbo? I dont know much about them.....16g or something isnt it? Yeah.it's a MHI Evo III 16g. Here's the little blurp about it. I don't think Mitsu measures in AR like Garrett. This is the stock turbo from the Lancer EVO III. Outwardly they look like any other 16G. They use the same compressor housing, TDO-5 exhaust wheel, and the same 7cm volume exhaust housing. Until you pop off the compressor housing... HELLO! Big Wheel. Flows 550 cfm vs. 505 cfm for the regular 16G. The normal 16-G compressor wheel is 1.83" at the inducer and 2.36" at the exducer. The Big 16-G is 1.89" at the inducer and 2.68" at the exducer. That is just over 5/16" (8mm) larger than the normal 16-G exducer and the same size as the GReddy 18-G (inducer diameter is only .10" smaller than a 18-G)."